Wow, Siri Can Do That? 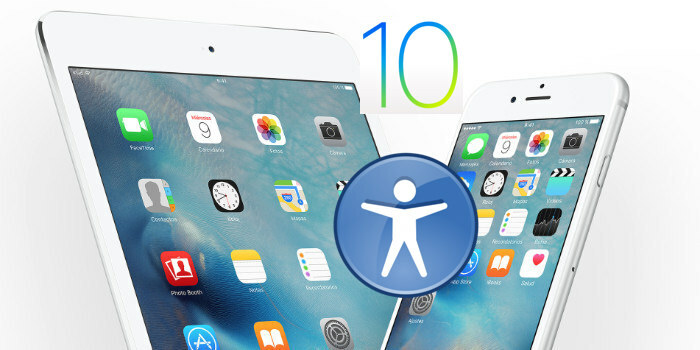 One of the major enhancements in iOS 10 is the development of SiriKit. Specifics aren’t really known about this exact functionality just yet, as SiriKit-enabled apps are only being released alongside the public version of iOS 10. However, what we do know is that there are many potential benefits to SiriKit. For example, if Uber were to implement SiriKit, one could simply tell Siri, “book an Uber for me to go to Central Park”. In theory, at least, Siri should now be able to carry out that exact action. According to this article, apps that will utilize SiriKit the day iOS 10 is released are WhatsApp, LinkedIn, WeChat, Pinterest, Vogue Runway, Pikazo, Square Cash, Monzo, Slack, Looklive, Lyft, Fandango and The Roll. It’s not possible to know how each app will utilize Siri Kit remains, I’m sure someone will cover it in great detail by the time you are reading this article. Describe it for Me, Please? Another major change is that iOS will now attempt to add automatic image descriptions to your photos. According to a presentation as part of the World Wide Developer Conference, iOS performs eleven billion calculations per picture to determine what objects are in your photos. It cannot only detect objects, but also facial recognition which can then compare pictures in your lists of contacts to tag people automatically. Indeed, it is now included as part of the information on each photo in my library. While Apple indicated that your photos are not sent to a server for recognition—meaning that it’s all done on your device—it’s not clear to me how long it takes for these descriptions to show up. In iOS 10, you can now unlock your iDevice simply by pressing the Home button. While this was always possible on Touch ID-equipped devices, it is now possible on non-Touch ID devices as well. If you do not have a passcode set up, pressing the Home button, waiting for a second, and then pressing it again will now land you on the Home Screen of your device. If you find that you prefer the older way of unlocking your device, you can still do this. Head over to Settings>General>Accessibility>Home Button>, and turn “rest Finger to open” on. Another new feature in iOS 10 is the introduction of Voice Mail transcription. For those who can’t hear their voice messages, or for those who just don’t want to listen to the phone, it’s no longer mostly required. It is, however, necessary, to play the message to make the transcription show up. You will find the transcribed text next to the “More Info” button. The transcription is fully accessible with VoiceOver and braille, but comes with the same caveats any automatic transcription does: it’s not 100% accurate, and any kind of noise or accent will greatly decrease accuracy. There is a new feature in iOS called “raise to Wake” which wakes up your phone each time you pick it up. It also sometimes will wake up when unwanted. While this may be a welcome feature for many, especially for VoiceOver users utilizing speech, it may be annoying. You can turn “raise to Wake” off if you would like. You will find the ability to turn this on and off under Settings>Display & Brightness. Moving Apps is No Longer a Drag! When you get to your Home screen with iOS 10 and VoiceOver is enabled, you will now hear that there are Rotor actions available; these options relate to moving apps. Rotor over to the "Actions" item, then flick up or down to the "Arrange app" action and double tap. This puts you in “Screen Edit” mode, just as if you had used the old "double tap and hold" method to begin editing apps. Next, find an app you wish to move, then flick up or down once to specify your desire to move this app. (You can also perform a two-finger double tap on an app to mark it as being ready to be moved.) Now, you can freely move around your home screen, even changing pages if you prefer, until you find exactly where you would like to move the app you chose. Once you locate the place where you would like to put the app, flick up or down to see different options: you can move it to the right of the app VoiceOver currently has focus on; move it to the left of VoiceOver's current position; create a folder with those 2 apps; or cancel the move entirely. Canceling will place you on the page you are currently editing, and the app you chose to cancel the move for returns to its original place. (Pressing the Home button to exit Screen Edit mode will also cancel any app move you had in progress.) Even better still is the fact that this system works great with both Bluetooth keyboards and braille displays! Nothing can beat the class of Apple. It is easy to use and have amazing features. Good to read up on the history of Apple. Keep on sharing such useful information.